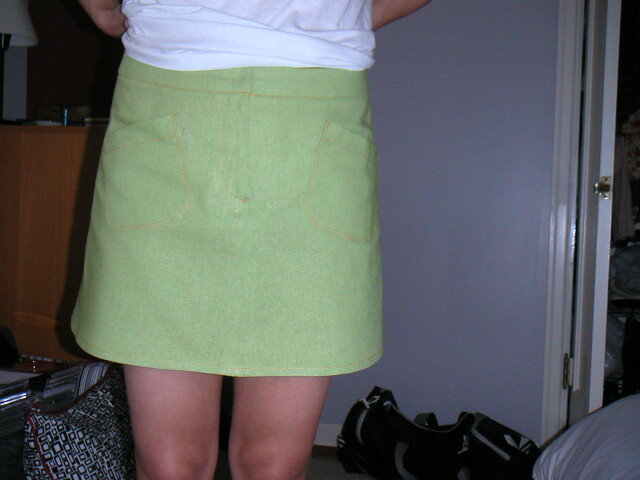 I finished this skirt early yesterday afternoon. It was a quick and satisfying project that only took two days. 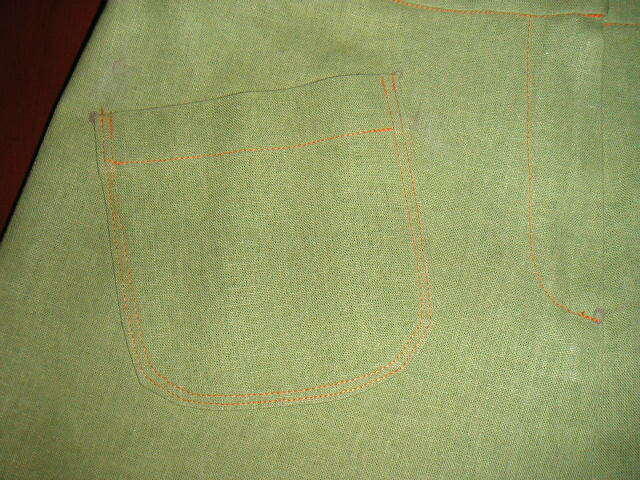 My favorite details are the askew pockets and contrasting orange stitching. I had to read the zipper directions a few times before I understood what I was supposed to do to properly form the placket, but it wasn't too hard. The linen blend fabric also drapes nicely, though it wrinkles very easily. I had to iron it lots of times throughout its construction. 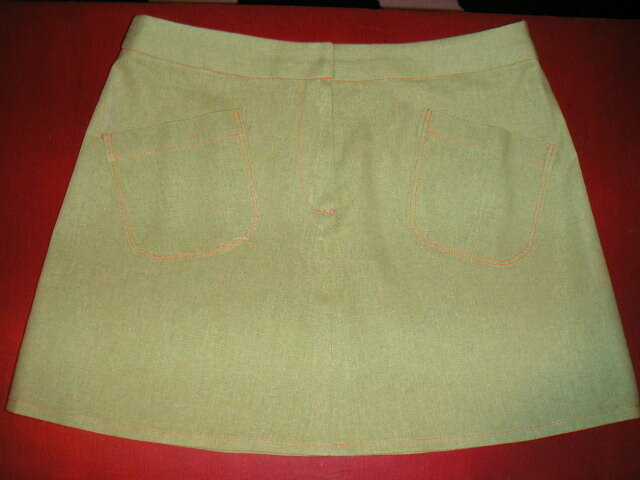 This was McCall's pattern 5066.